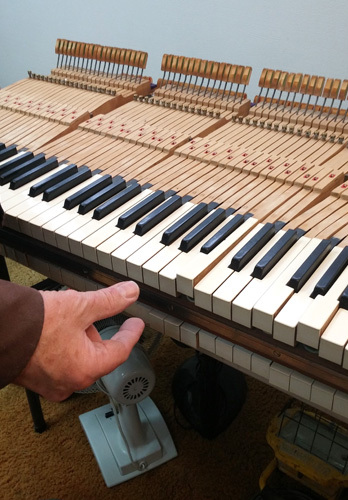 Reconditioning of an upright piano in Orange County, CA. 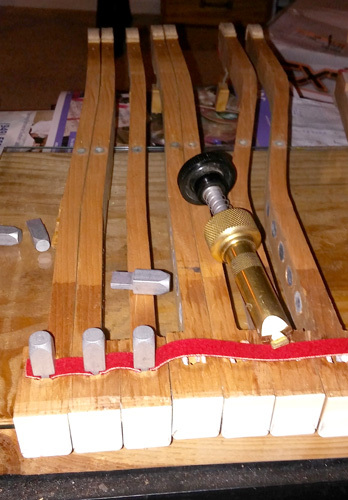 We took out hammers, replaced straps in the action, rebuilt keyboard, removed action rail, bushed keys, and added new key tops. 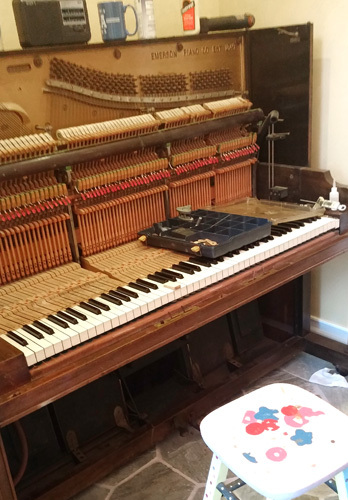 A grand piano repair project completed in Orange County, CA. 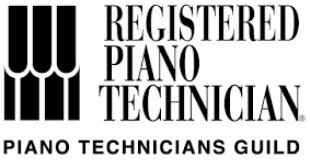 We leveled the keys and replaced the felt to achieve a uniform keyboard.